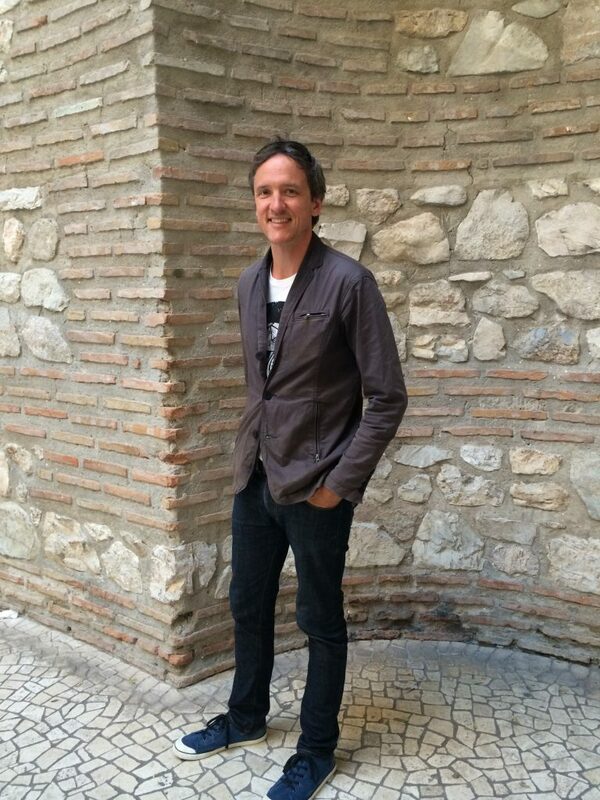 Travis Keller (pictured above in a photo by Ollie Promblemas) is an American creative director, writer, publisher, record label executive, manager, skateboarder and all round artistic whirlwhind. 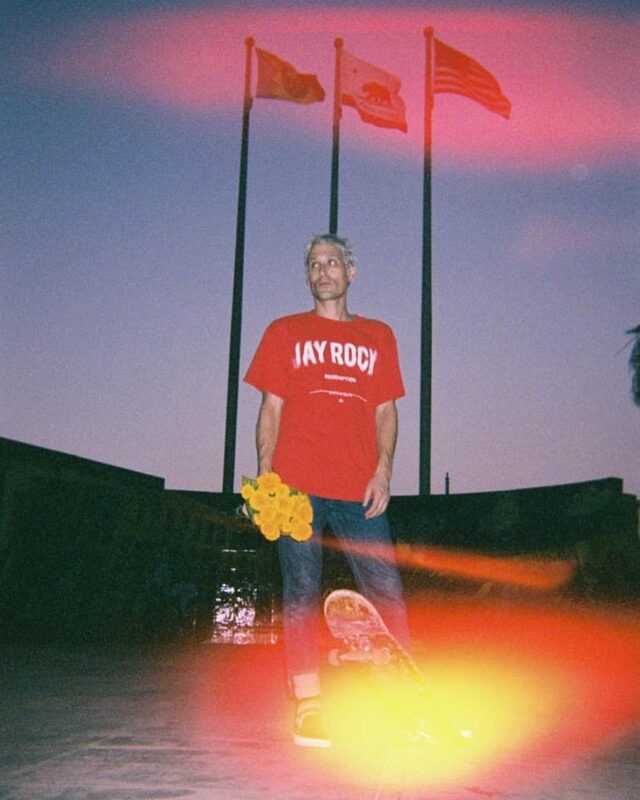 Travis got his initial start in the art game as a photographer and skateboard video maker in his teens. 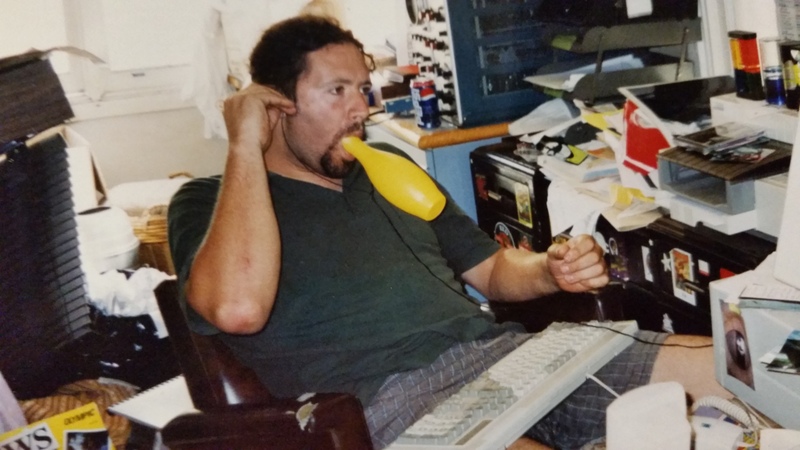 Skills which took him to LA in the mid 1990s were he promptly founded cult culture website ‘Buddyhead’ with his best-friend-at-the-time, Mr. Aaron North. Through ‘Buddyhead’, as well as his personable nature, friendship with ‘The Icarus Line’, writing, and photography skills; Travis spent the late 1990’s and 2000s immersed in the global music scene – running the ‘Buddyhead’ website, releasing records through ‘Buddyhead’, being a journalist, accompanying bands such as ‘Nine Inch Nails’, ‘Ink and Dagger’, and the aforementioned ‘Icarus Line’ on tour, hanging out with ‘At the Drive In’, getting wasted with ‘Oasis’, collaborating with Raymond Pettibon, and living life as a general cultural roustabout. Through it all Travis has remained committed to art above all else. Travis’ latest project is ‘American Primitive’ – an art crew that so far consists of Travis as creative director, as well as musician / producer / engineer Joe Cardamone, and filmmaker Jacob Mendel. Importantly, through Joe, ‘American Primitive’ have direct access to top of the line recording / performance facility ‘Valley Recording Company’, located in Bourbank, California. A combination of people, skills, and equipment that allows ‘American Primitive’ to do pretty much anything art wise: shoot video, record music, edit, host concerts, plan events, and engage in the usual marketing, sales and hustling. So far ‘American Primitive’ have released records, merchandise, videos, ephemera and more. With notable releases being Joe Cardamone’s post Icarus Line solo work ‘Holy War’, collaborations with Annie Hardy, releasing Italian musician Nero Kane‘s debut LP, as well as LA electronic goth group Hide‘s ‘Castration Anxiety’ LP, The Great Sadness‘s 2017 LP ‘Weep’, and Travis’ ‘Past Lives’ photography book. “My first art, like on my own will…. outside of school, was at 13 years old – living in Northern Idaho – and making skateboard videos of my friends and I. The local cable company in my hometown had a non-linear Super VHS editing system that people could use for public access. I taught myself. They would play them on the local cable access channel and we sold a couple thousand copies outta my parents garage for $7 a copy. 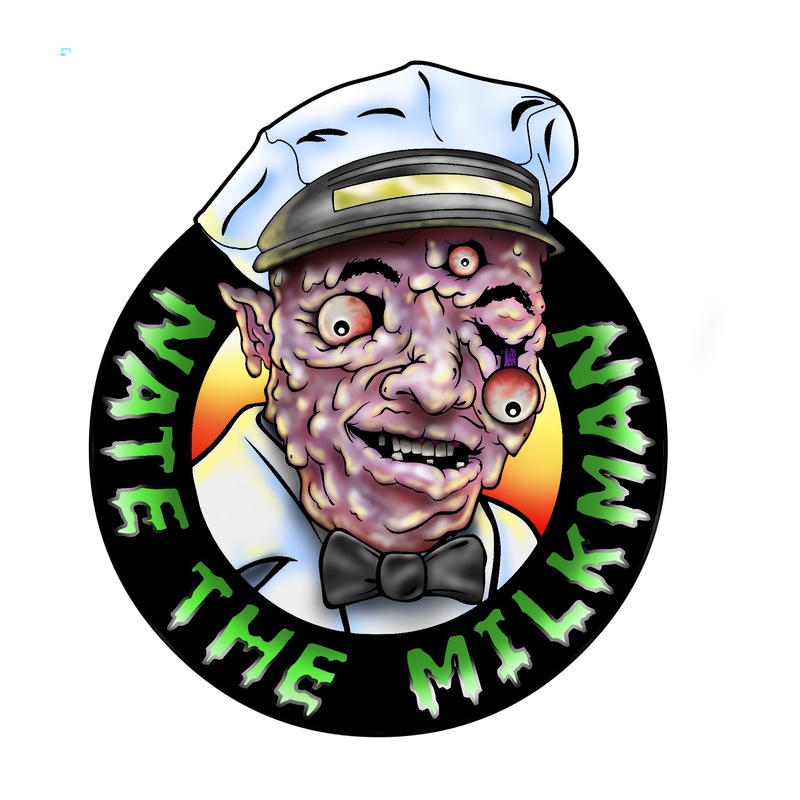 Nate McCartney AKA Nate the Milkman is an American artist and all around creative powerhouse who has quickly gained a firm foothold in the art toy scene thanks to his varied and highly unique releases – which at this point includes ‘Stomak the Upset Stomach’ (2016) and ‘Gordon the Garbage Goblin’ (2018). Both of which are creepy meets cute, human body inspired figures with a whole lot of personality! Fittingly – just like Pushead before him – Nate is a highly accomplished musician and an artist, who ultimately found his community in the art underground. Lance aka ‘Renone’ of ‘Renone Labs’ is an American artist, designer, publisher, scene builder, and all round creative mensch who work has been blowing our minds for many years now. 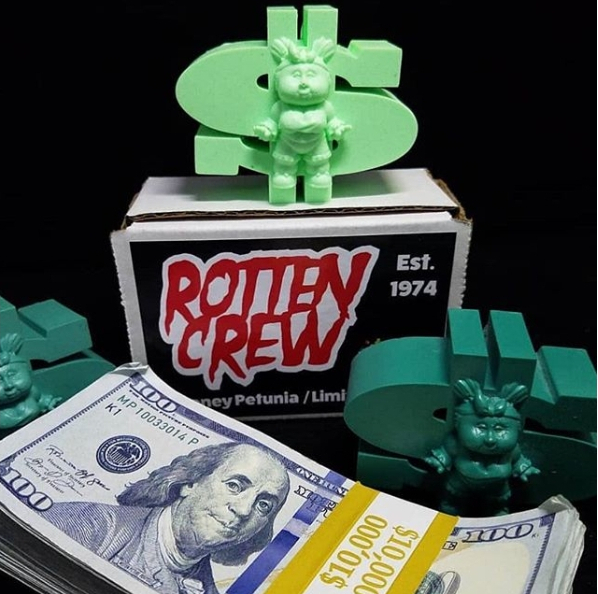 His most recent project is ‘Rotten’ – a gang of artists and misfits who create toys, stickers, art, apparel and more. Seeing as though it has been over four years since we last spoke with Lance, we decided to hit him up for a catch up interview to get up to speed with all his current projects, work with ‘Rotten’, thoughts on the art toy game, his artistic process, and a whole lot more. The ‘Drone Blank’ is a platform art toy designed and made by American artist Gabriel Rivas aka Nerviswrek. Platform toys are unpainted toys, usually of a simple design, which are made for the purpose of being customised – kinda like a blank canvas in toy form. 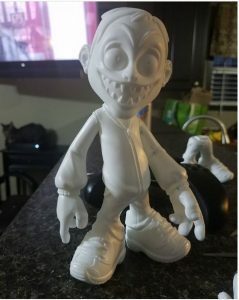 What separates Nervis’ ‘Drone Blanks’ from other well known mass manufactured platform toys such as the ‘Dunny’ from Kid Robot is that the ‘Done Blanks’ are all hand made by Nervis himself. This places the Drone Blank in a wholly unique position as the only hand-made platform toy! A true testament to Nervis DIY ethic, sense of community, and craftsmanship! To celebrate the release of the ‘Drone Blank’ Nervis has put together an amazing and diverse group show featuring 46 artists from all over the world. 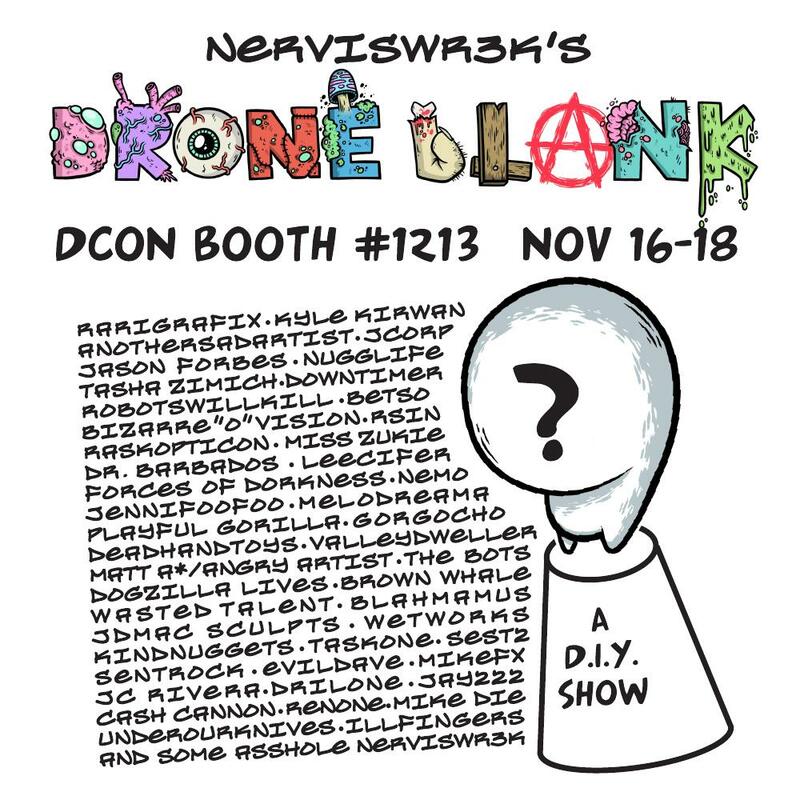 The artists involved all got a chance to custom a ‘Drone Blank’, and present it to the world – with the show happening at this years Designer Con from November 16th to the 18th. It is not to be missed! In honor of Nervis’ achievement, and the upcoming show, we thought it would be nice to ask five of the artists who are involved in the show to present their works and also answer some questions about their art, their approach to customising the ‘Drone Blanks’, their thoughts on art toys generally, and some general gossip about Nervis! Draining aka The-Art-of-Exploring-Stormwater-Drains is a unique Australian past time – made possible due to the fact that unlike most countries in the world, Australia separates its fresh-water drains from its sewerage. This means the adventurous can explore the drains of Australia without worrying about walking through the usual human excrement found in most drains. You may instead, however, have to contend with eels, spiders, birds, bats and the occasional drain-dwelling vagrant. Whilst humans have been exploring the drains of Australia ever since they were first created, there is one group that turned an erstwhile hobby into a vibrant culture – that group is the Cave Clan. Founded on January 26th 1986 by three young gentlemen by the names of Dougo, Sloth and Woody. Soon after their founding, The Cave Clan promptly began activities that would come to define the group, win it many fans, media exposure, and the occasional blood enemy. 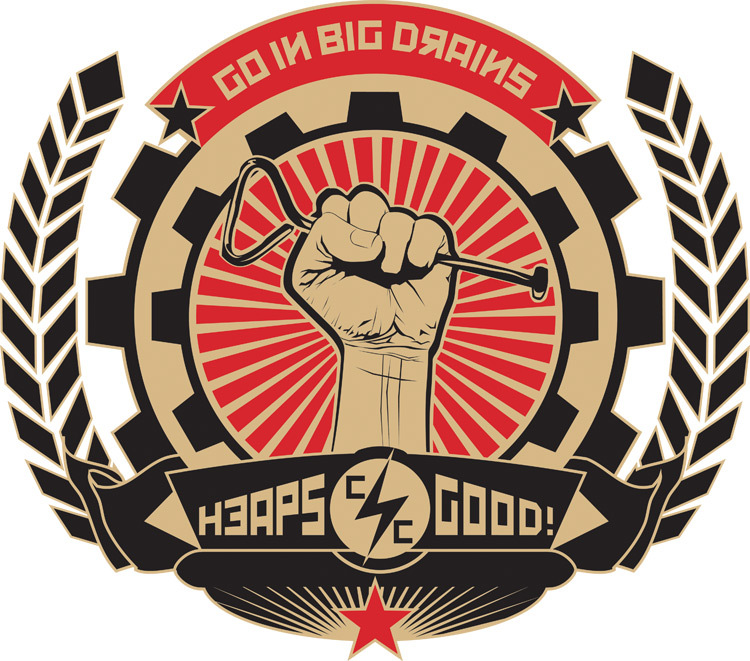 Activities such as holding drain based concerts and parties, hosting large multi-people exploring sessions, spreading their pro-drain exploring propaganda around public places, tricking the Australian media into covering a fake story about gangs of deviant-social-security-receiving-drain-dwelling-menaces, publishing zines, creating art, and engaging in general larrikinism. Whilst Sloth and Woody have stayed virtually anonymous – ole Dougo quickly positioned himself as a major scene builder and spokesman for the Cave Clan, a position he still holds today; even if he has stepped back a bit lately due to family commitments. Listing his pivotal life moments, Dougo mentions a childhood filled with dream-time escapes to dark subterranean hidden worlds, the death of his father when Doug was only 7, and the relaxed attitude of his mother when it came to Doug’s childhood exploring. “Google will tell you that the Cave Clan was started on Australia Day, 1986 although co-founder Woody was a socialist so we called it Invasion Day. I had been trying to start a group that explores mines, caves and drains for a couple of years with no luck. It wasn’t until I’d finished school and I decided to catch up with Woody. ‘Want to go up the darkies?’ I asked, referring to the small pipe that ran under Northcote Tech. Woody got his torch and a marker AND his brother Sloth. ‘This is my brother Sloth’ and off we went. 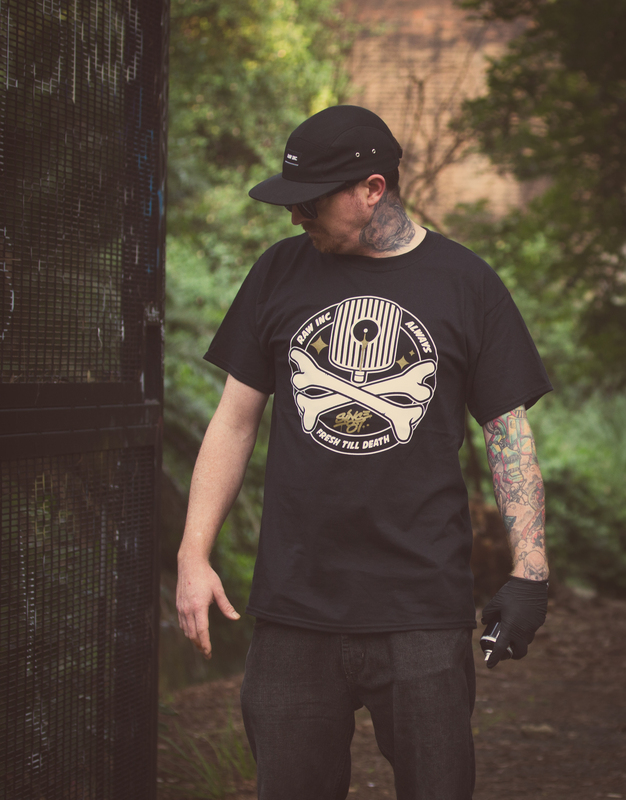 The Infamous Dogfight is a well loved member of the Australian graffiti, design, and street art scenes – being a pivotal member of KALIS’s RAW Crew, a founder of ‘Spilt Milk‘, and a highly regarded artist, collaborator and scene builder in his own right. 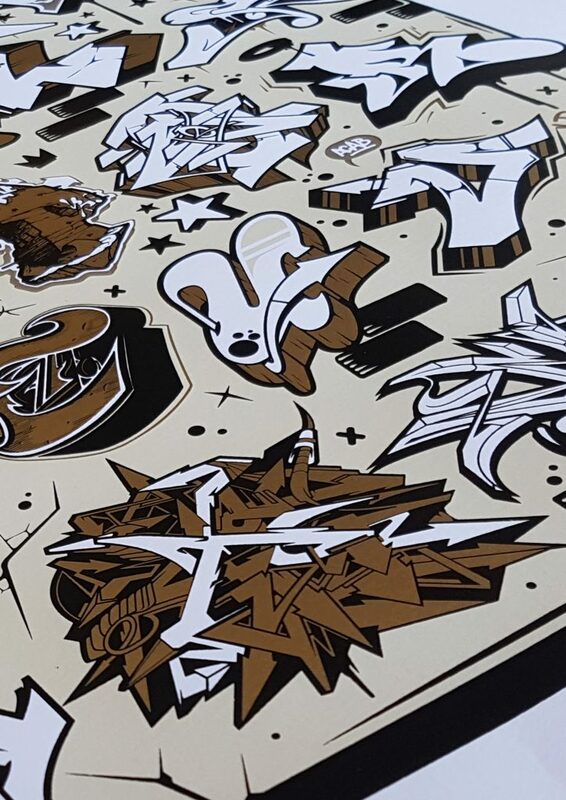 Dogfight’s latest project is ‘Toasted Posters’ – a brand focused on releasing high-end, limited edition fine art prints from graffiti writers from all over the world; with a special interest in the Australian scene. ‘Toasted Posters’ debut release is the Block Rockers alphabet screen print which was released earlier this month. The Block Rockers print is hand produced by the talented craftsmen at ‘Aisle 6ix’ in Sydney; and features 26 artists each contributing a letter of the alphabet. The result is an eye popping and beautiful work that combines many seemingly disparate aesthetics, into a perfect whole – Voltron style. Aaron Lewin aka Berzerkaroth is an Australian artist who first caught our attention thanks to the beautifully gross art he provided for the ‘Goredon’ soft-vinyl designer toy from American artist ‘Nate The Milkman’. After seeing that image as part of our daily social media toy-explore, we immediately jumped onto Aaron’s Instagram and had our eyes and brain melted. 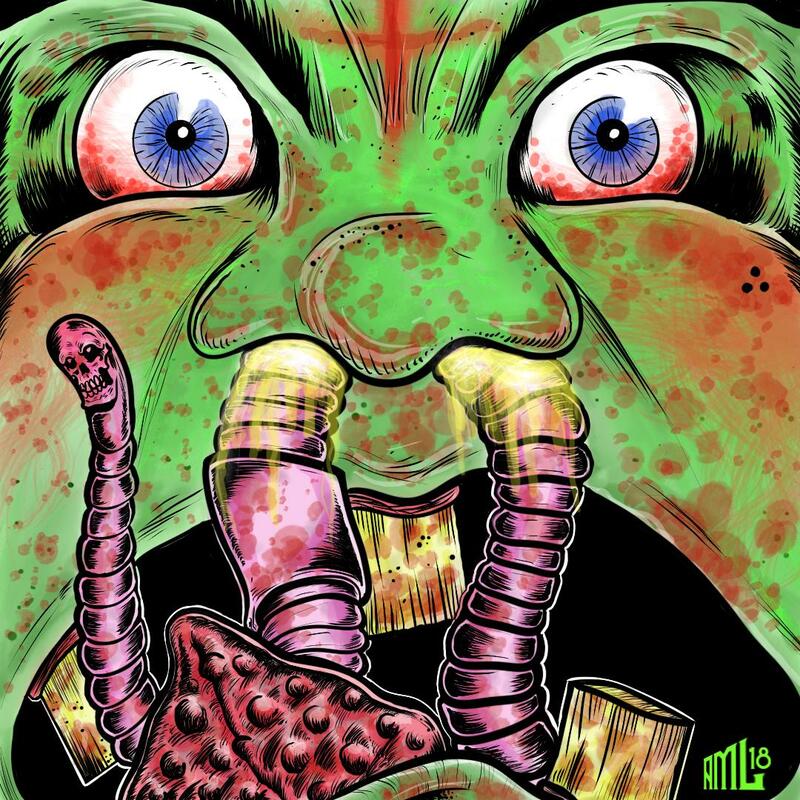 Here was art that mixed the 1990’s ‘gross’ aesthetic, with the vibe of the 1960’s underground comics scene, and body horror – we have never seen anything quite like it! “My Mum had died at the age of 49 when I was 33. My Grandad died a couple of months later. Prior to the 1980’s each of the World’s developed nations had their own local manufacturing industries – a result of globally implemented protectionist economic policy. Under these policies countries imposed high tariffs and other duties on foreign imported goods, preventing imports from being financially viable, so as to protect their local manufacturers. Toys are but one example of this. 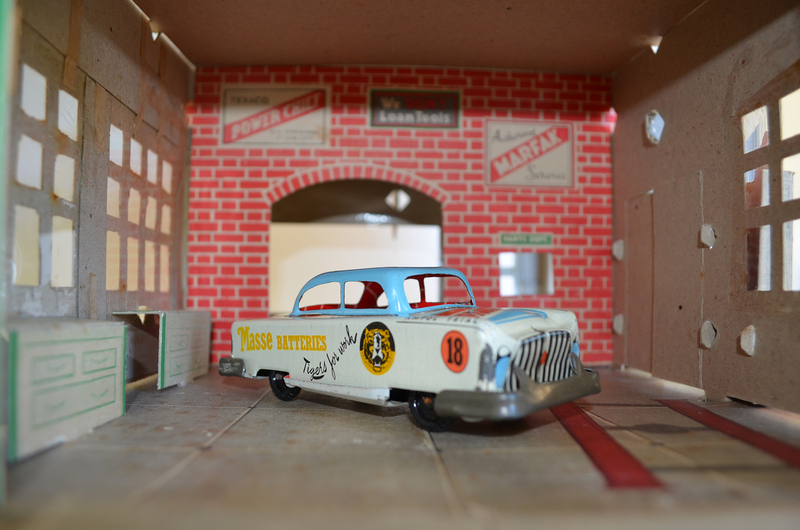 Here in Australia, there is one man who has made it his mission to preserve and share the history of Australian manufactured toys – that man is Mr. Luke Jones from Adelaide, in the Australian state of South Australia. 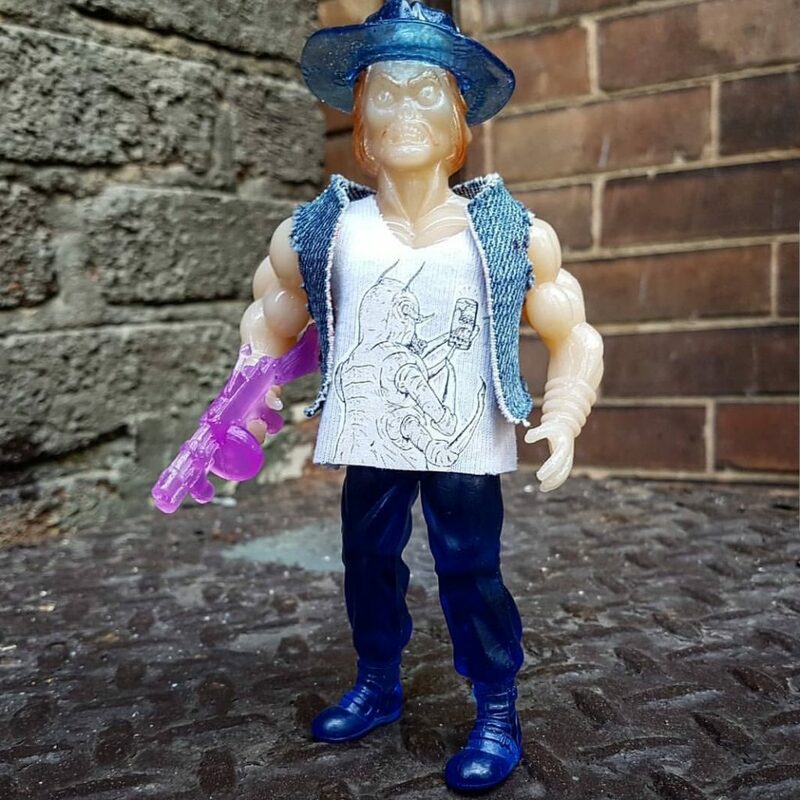 Recently, Luke began sharing parts of his collection with his ‘Australian Toys’ Instagram, the Instagram page has been so well received that Luke will be publishing a book showcasing his Australian toy collection in 2019 via Melbourne Books. Governments constantly play a cat and mouse game with their dissenters: let them get away with too much, and the government looks weak, but if you apply too much pressure and start jailing political dissenters then the government looks authoritarian, and risks losing the faith of it’s people. 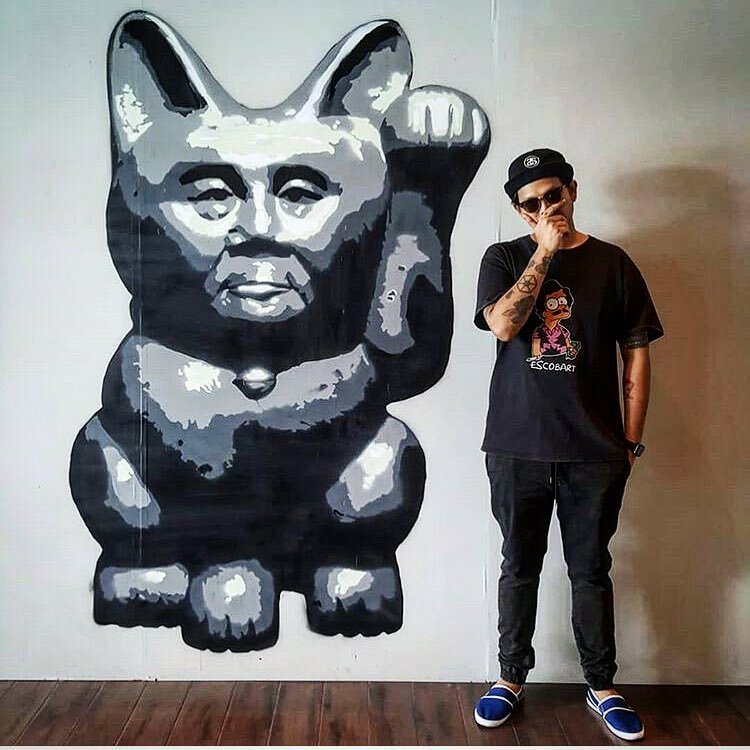 Currently this delicate balance is being played out between the ruling Government of the South East Asian nation of Thailand, and a rising number of political dissenters and agitators – such as Thai street artist Headache Stencil. The current Military government of Thailand gained power in 2014 in a coup d’etat under the leadership of General Prayut Chan-o-cha. The Military allegedly took power in 2014 to restore stability, eradicate corruption and lead Thailand into an eventual Democratic election. However 4 years have passed since the Government took power and no free-election has occurred. In the meantime Thai news has been filling with tales of generals on Government salaries – Deputy Prime Minister Prawit Wongsuwan in this instance – flaunting million-dollar watch collections, prominent successful Thai businessman Premchai Karnasuta seemingly avoiding criminal prosecution for poaching, an allegedly increasingly volatile and eccentric leader, and other tales of purported graft, malaise and political corruption. Headache has been commenting on these issues with his politically charged street art since the Military took hold in 2014. 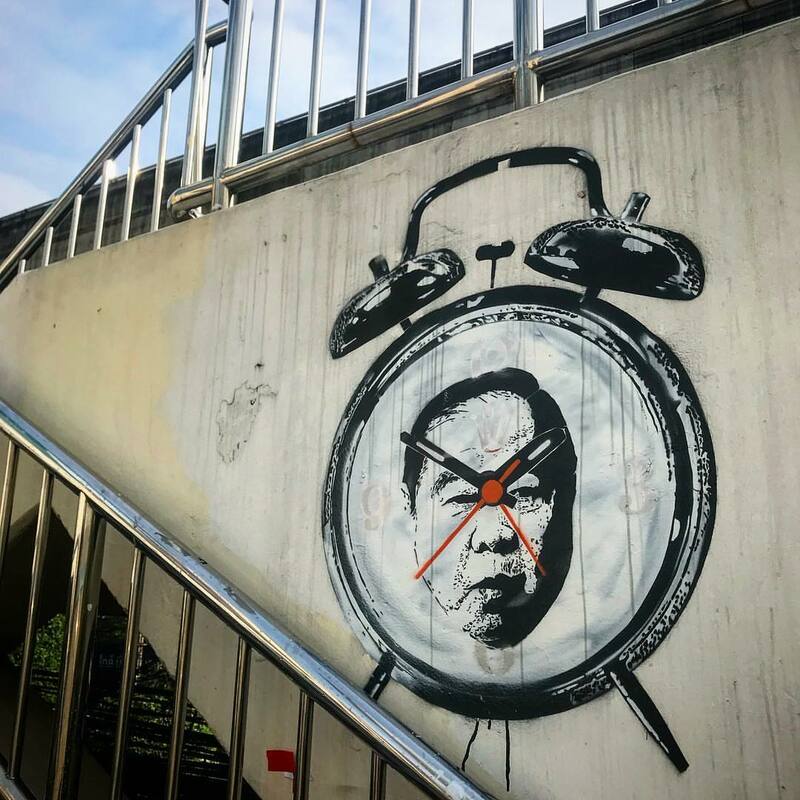 Initially being ignored by the Government, Headache found himself under the harsh glare of the State and the Thai Police when an image he made – see it above – lampooning Prawit Wongsuwan and the watch-saga went viral early in 2018. 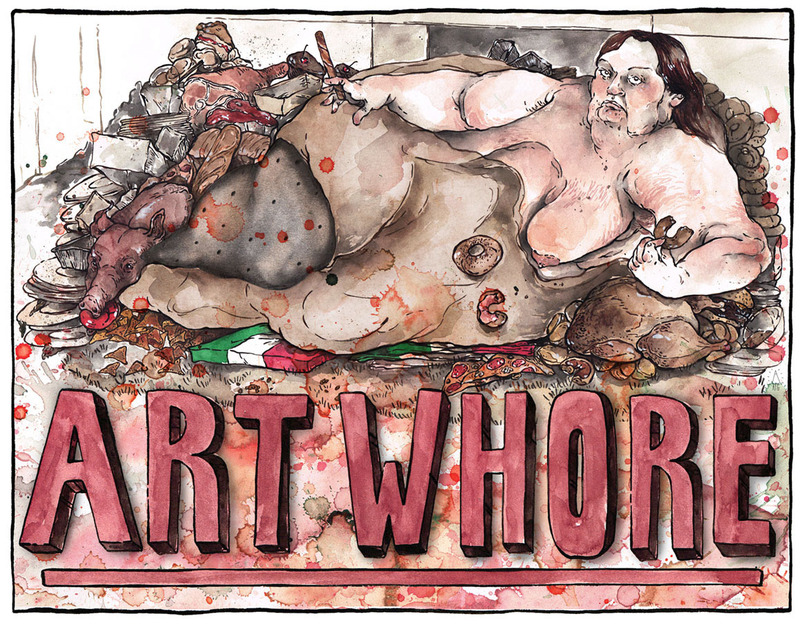 Almost immediately after sharing his finished work to his social media; Headache found himself running from the Police, holing up in safe houses for nights on end, and hearing about his public art being whitewashed or buffed. However, Headache’s art had already been, and was continuing to be photographed and shared thousands of times by the Thai people on social media – turning Headache into a local hero. Indeed, it was his newfound status as a heroic supporter of the Thai people, and the love they have for Headache, that led to the Police and authorities eventually backing away from pursuing him. After all – Headache is now a Thai celebrity, and jailing a noted celebrity would cause many ripples that are unwanted by an increasingly nervous Government. Importantly, Headache recently began teaching street art and stencil classes in Thailand, to encourage the locals to get involved in political street art. He has also just announced two upcoming 2018 shows in Australia – the first in Sydney at Joe’s Table from the 21st to 24th of October, and the second is in Melbourne at Blackcat Gallery from the 24th of October to the 4th of November. The Angry Beast is the nomme de guerre of a Canadian artist and toy maker who works anonymously to keep their identity hidden from stalkers, haters, copyright lawyers, US Drones and the potential wrath of their conservative employer. 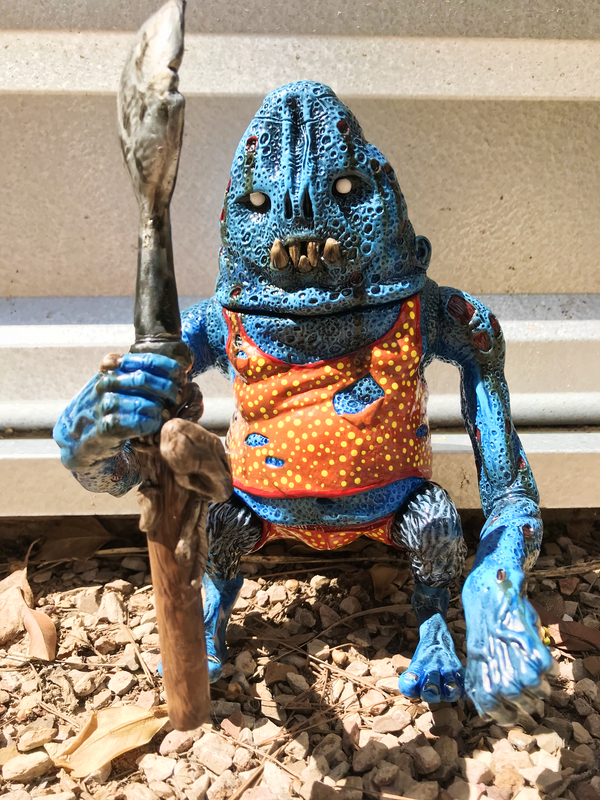 Over the last few years The Angry Beast has gained a reputation internationally for his unique resin creations – which are made through a combination of kit-bashing, hand sculpting and the occasional use of fabrics. 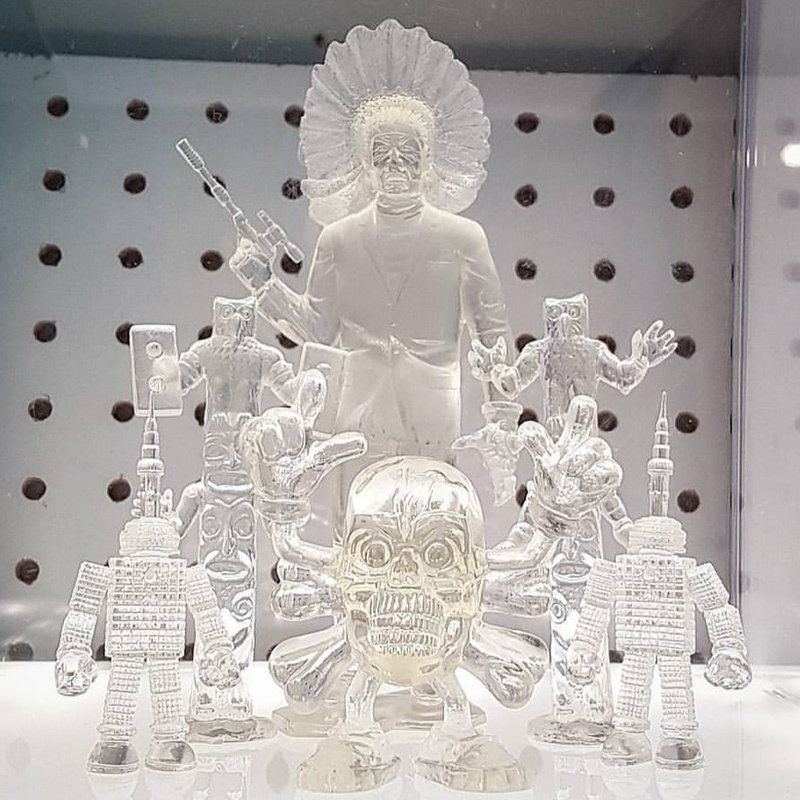 The Angry Beast creates whole worlds, character biographies and narratives for his resin creations; setting him apart from the majority of the resin scene who mainly concentrate on pop-culture mash-ups. Additionally, his creations are expertly crafted, unique and just plain fun! Aside from their own internationally loved work, The Angry Beast is also a member of the recently created ‘ToyRonto’ art-crew, a group of like-minded artists, all living in Canada, who work in the medium of designer toys. We have already interviewed some members of the ToyRonto crew, Lab Monkey Number 9, and Naomi Knaff; and will be interviewing other members of the crew over the next few months – so stay tuned for those!